Walks can be arranged in the general West Cork area. 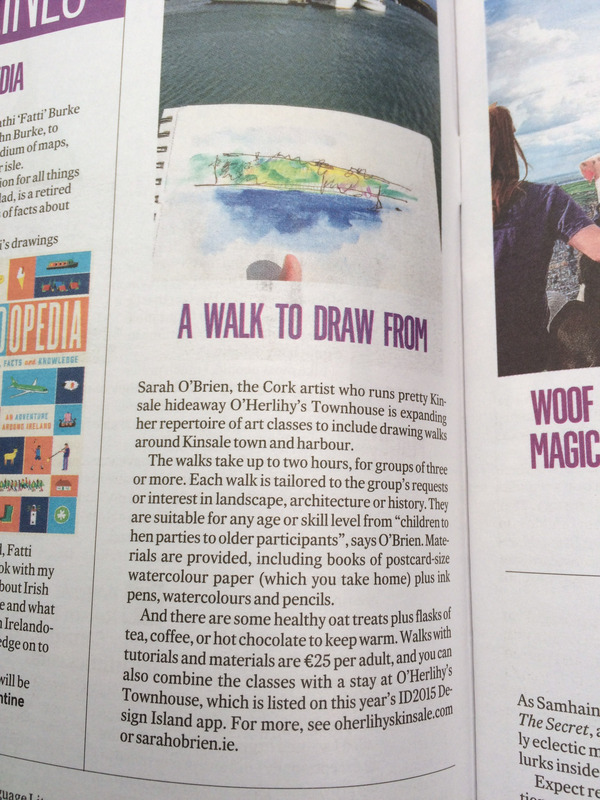 Sarah lives in Kinsale and will happily meet groups further afield if that is preferred. Groups of any age or skill level are welcome. (Younger to older participants, amateur enthusiasts to total novices). The walks are between 1 hour and 2 hours long (all stops included). 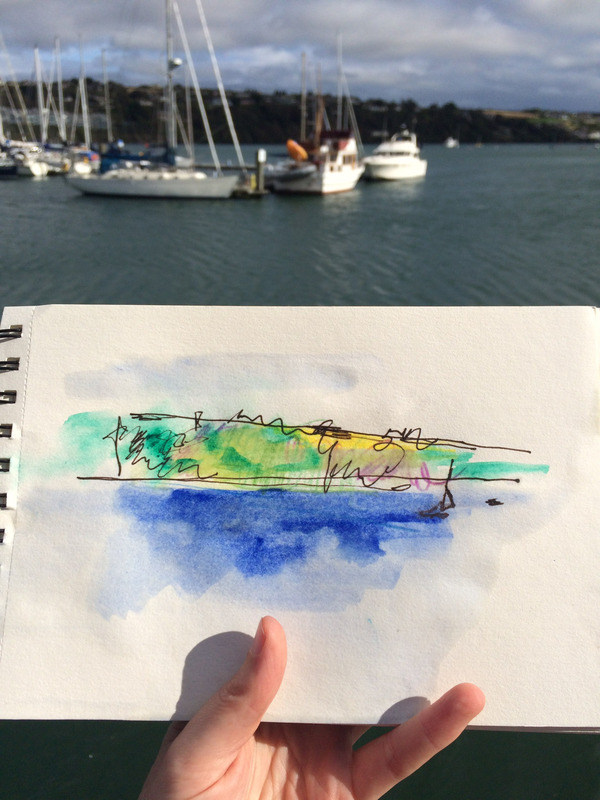 Materials are provided, including postcard size watercolour paper, inky pens, watercolours & pencils. Also a flask of tea, coffee, or hot chocolate and healthy oaty treats to keep warm! Minimum group is 3 people. 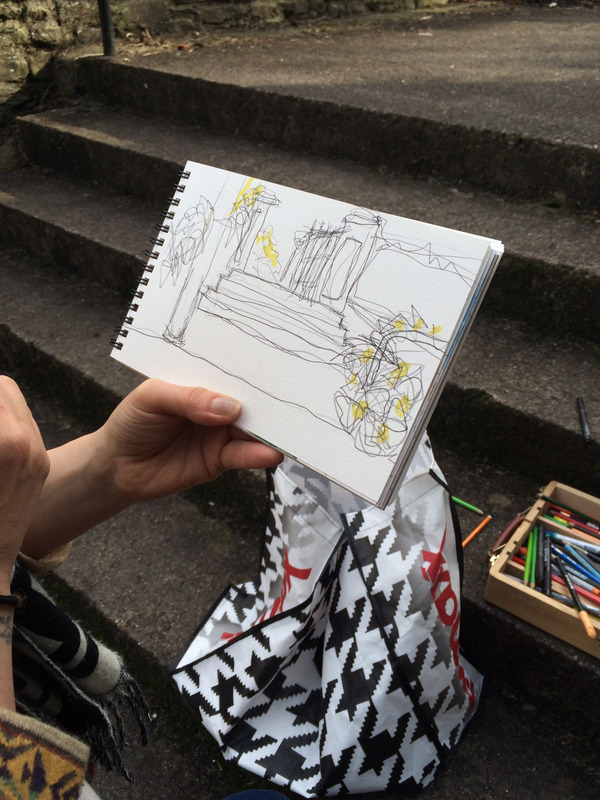 Adults are €25 for 2 hours walk and tutorials, the participants take their own postcard books home. The idea is to create a lot of fast responsive drawing! Special offers on 5 or more participants in a group. Groups of younger people can be discussed with Sarah directly. Maximum participants 8 per group. 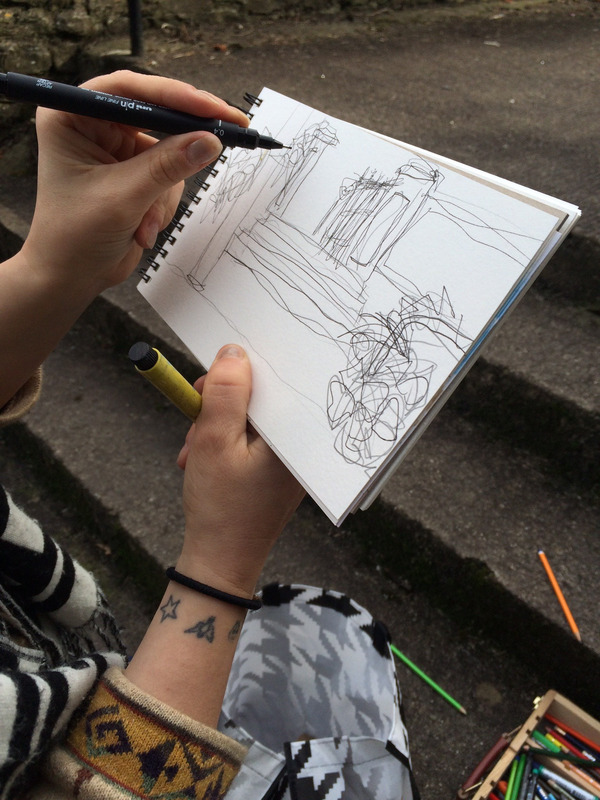 Sarah has worked in the field of art education for more than a decade. 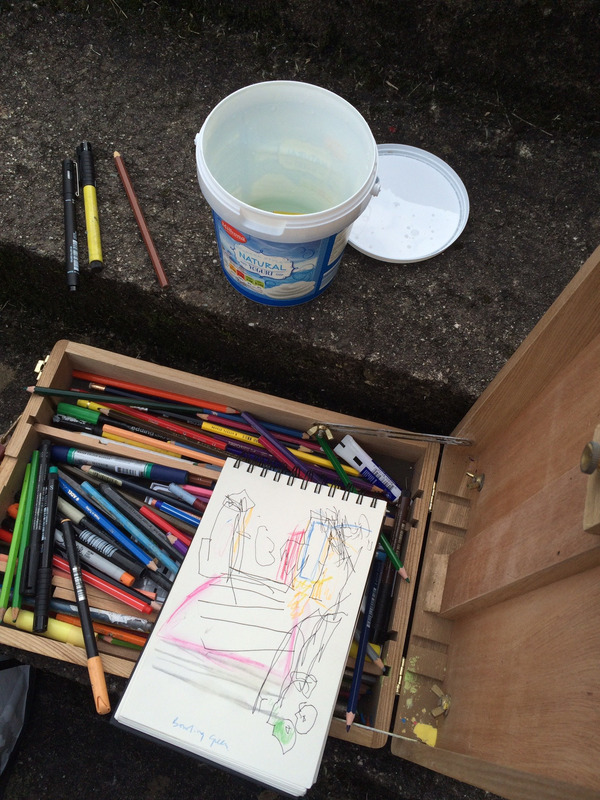 She has taught in different contexts from gallery workshops (Dublin City Gallery, The Hugh Lane and The Lewis Glucksman Gallery, UCC) to schools and colleges. 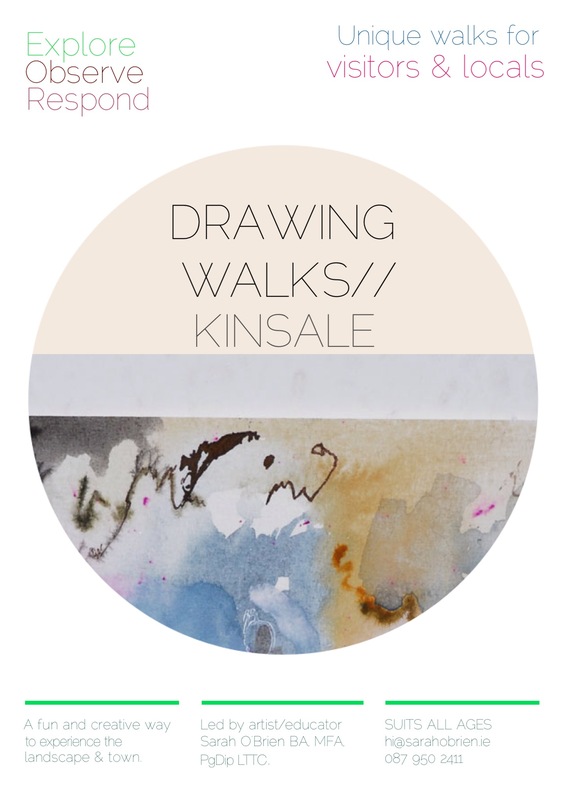 Drawing Walks// combines her experience teaching at UCD School of Landscape Architecture where Sarah works with students to respond with instinct and gesture to the landscape and built environment with her own passion for encouraging the individual ‘mark maker’ in everyone. Sarah holds a BA, MFA and PgDip in Teaching & Learning. She is also a registered member of the Teachers Council of Ireland. Irish Times Magazine, October 17th 2015.